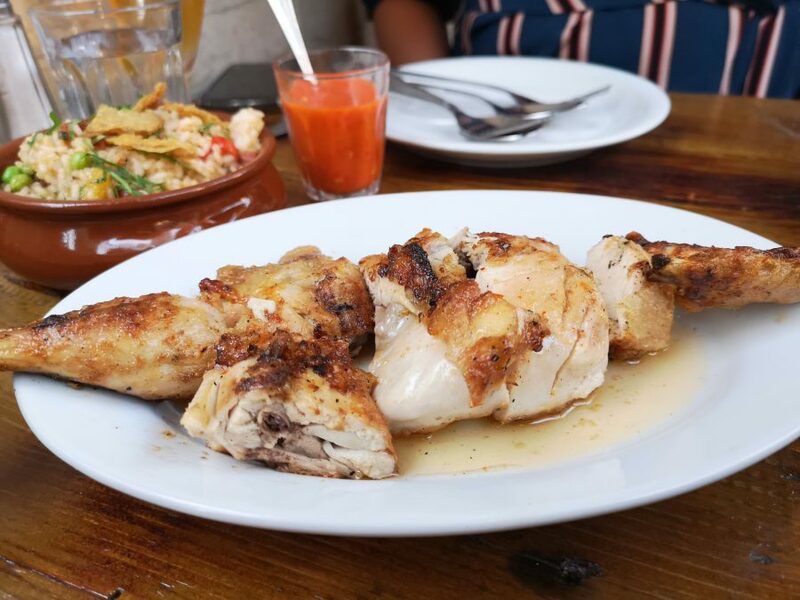 Casa do Frango is a Portuguese restaurant specialising in piri piri chicken and it’s just round the corner from Borough Market. 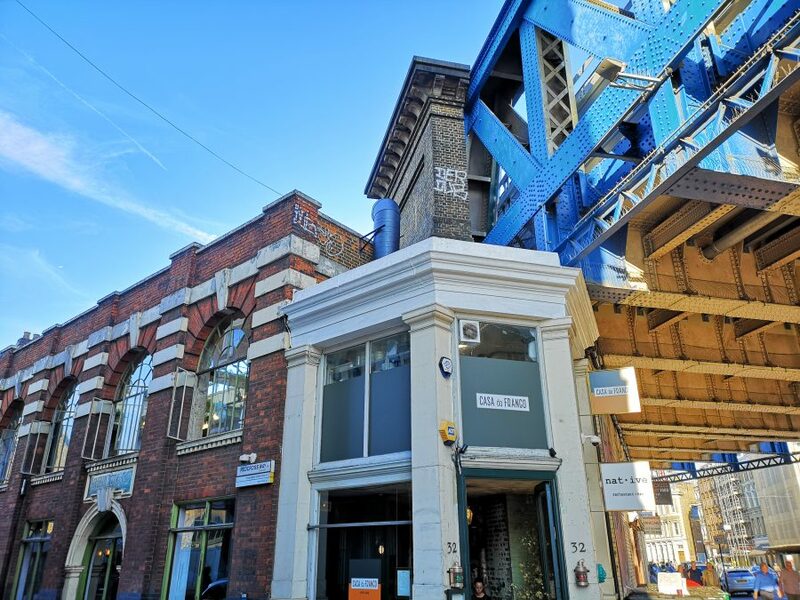 It makes use of the top floor of a disused warehouse once occupied by squatters. Downstairs you’ve got Native, a different restaurant entirely with separate owners. Upstairs it’s flooded with natural light thanks to the glass roof. 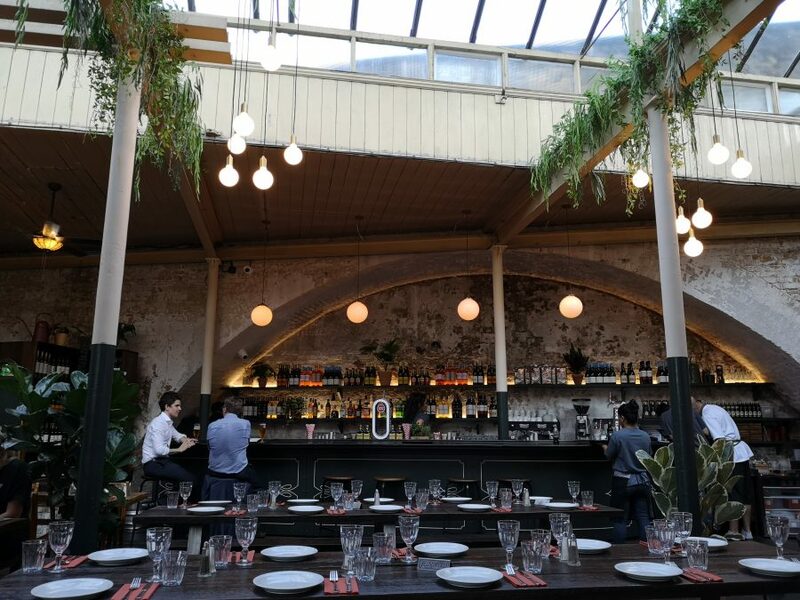 It blends run down and beauty perfectly; there are modern touches of a gorgeous bar, open kitchen and more plants than Columbia Road on a Sunday alongside exposed, battered brickwork and old wooden tables. As with so many meals these days, we start with an assortment of small plates. 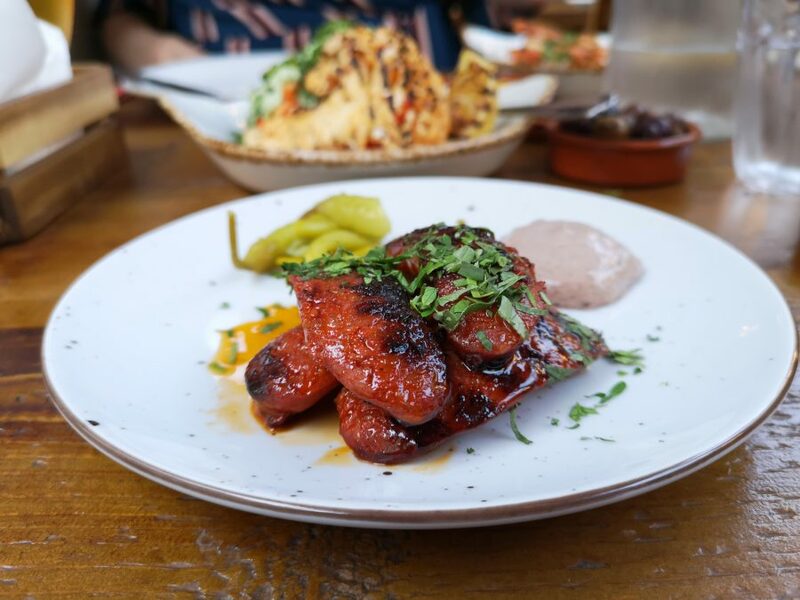 Grilled chorizo (£6) and grilled prawns (£8) are simple but perfect dishes; it’s the quality of the ingredients that’s so impressive here. 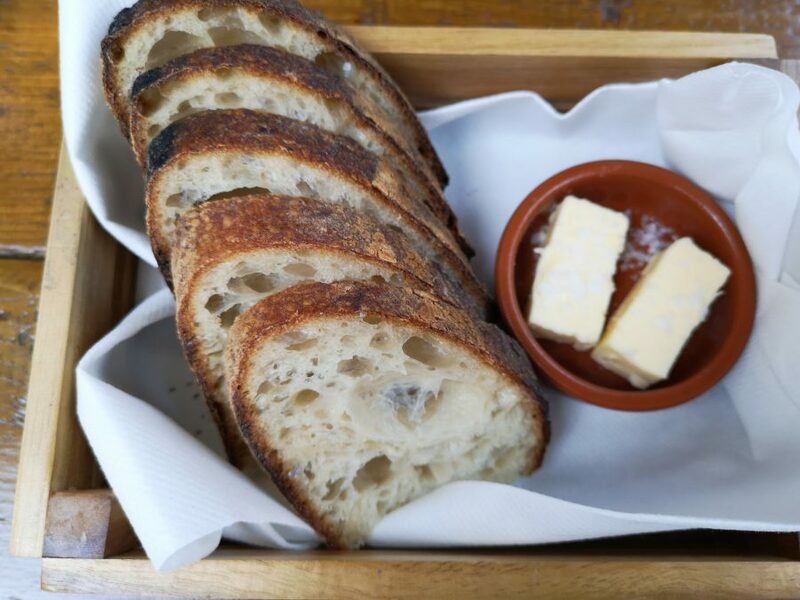 Both sit in juices so glorious use the potato sourdough (£4) to mop it all up. 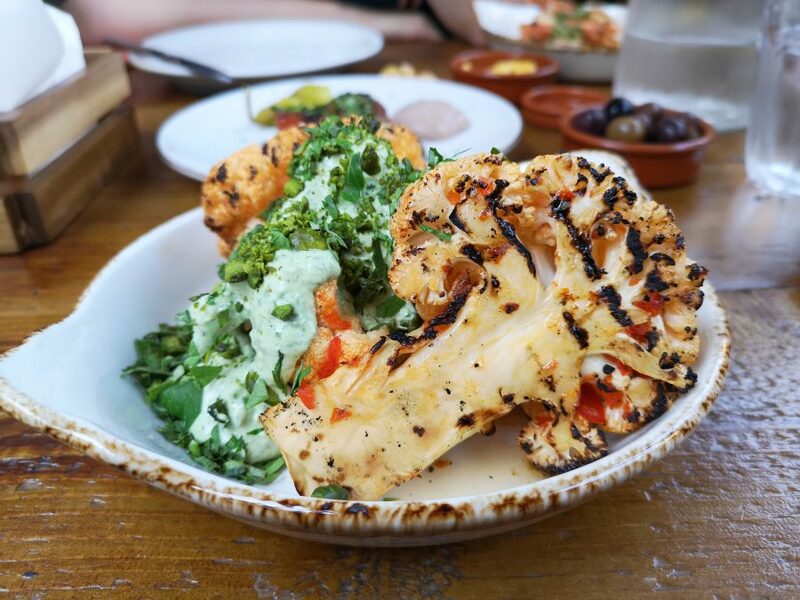 Surprisingly, for Mr Meat Lover over here, my favourite dish is chargrilled cauliflower (£7). It has texture from the crisp, burned edges and it doesn’t taste farty either (cauliflower can so easily be farty). A coriander yoghurt brings it all alive. The main event is half a chicken (£9), cooked over wood charcoal and brushed with your choice of lemon and garlic, oregano and piri piri. We go for the latter two. The chick itself is lovely and moist with super crispy skin. A bit like Chicken Shop, the way it’s chopped up means you have to spit out a lot of bones but the flavour’s so good you don’t really mind. 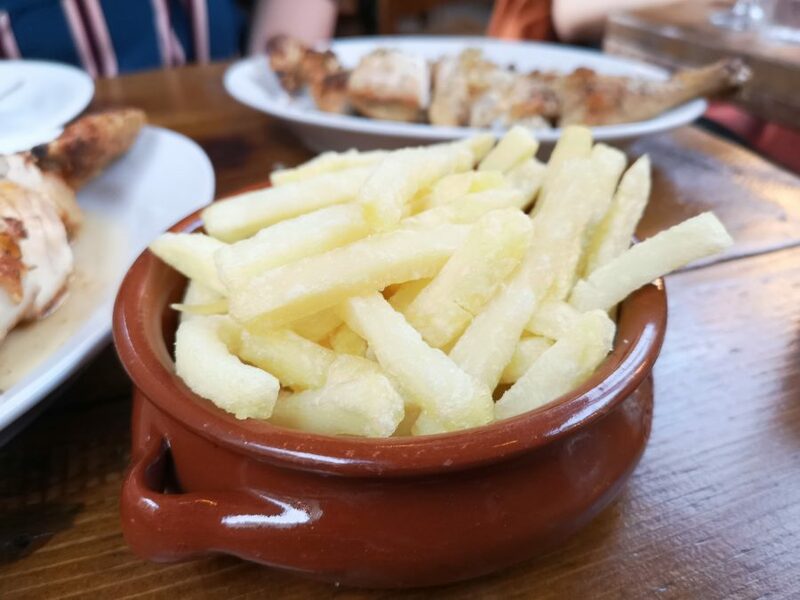 Batatas fritas (£4), that’s Portuguese hand cut fries, look rather anaemic, raw in fact. They taste great though, all salty and squidgy. 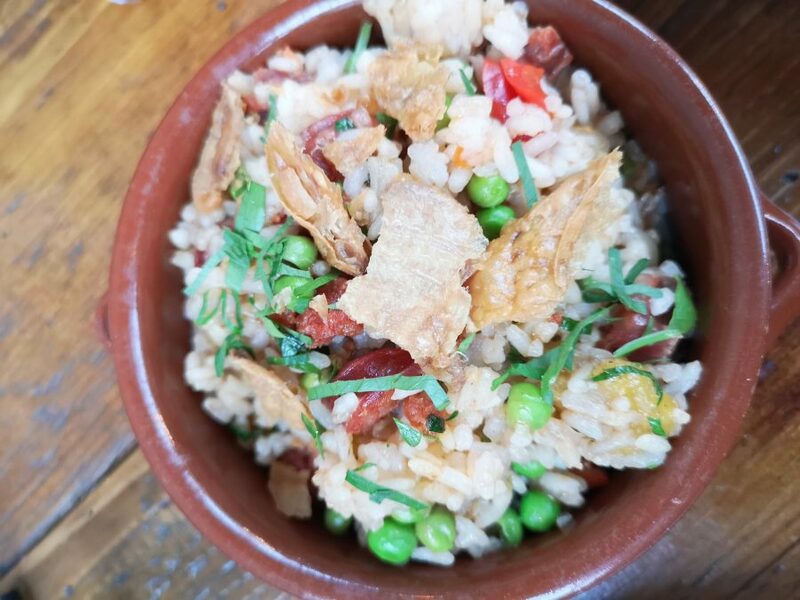 African rice (£5) is filled with bits of crispy chicken skin and chorizo – a must order then. 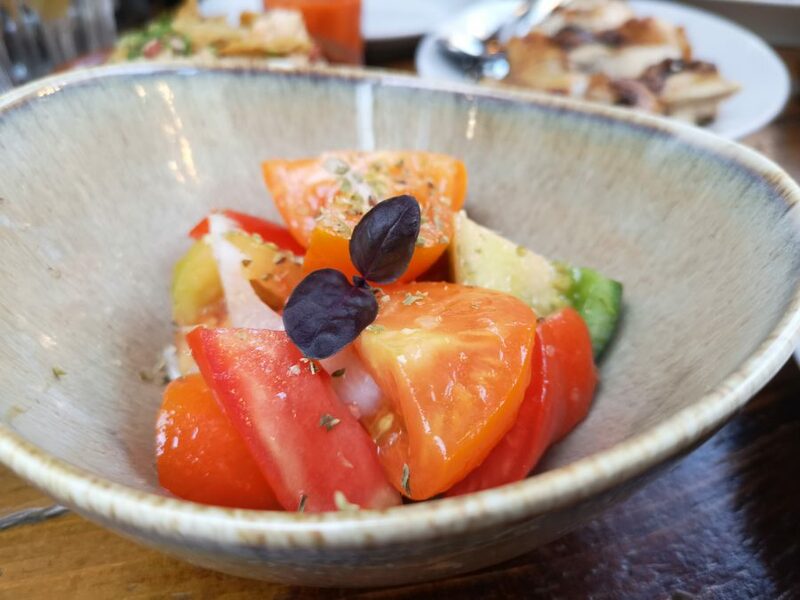 A bowl of red, green and yellow heritage tomatoes (£4) brightens everything up perfectly. 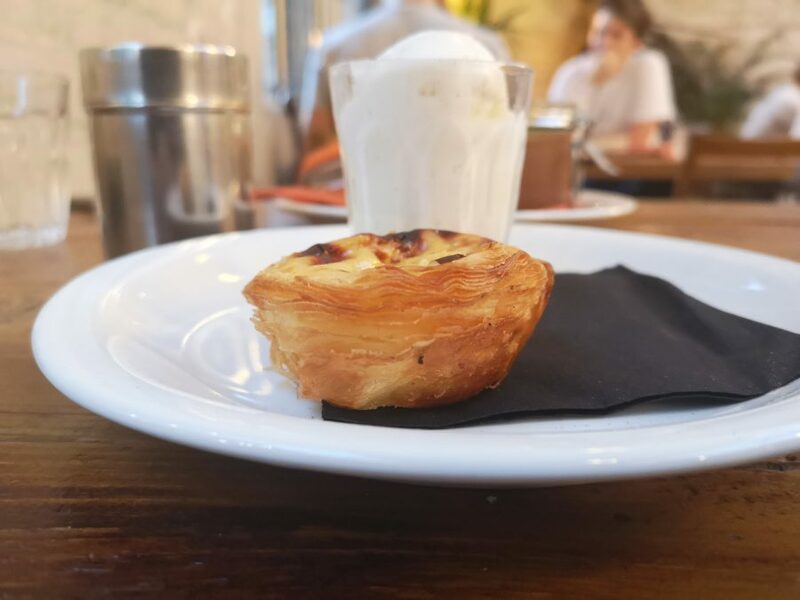 For pud, we share a warm pastel de nata (£5). The pastry is all crisp and flakey with the warm custard filling oozing just enough to make you smile. 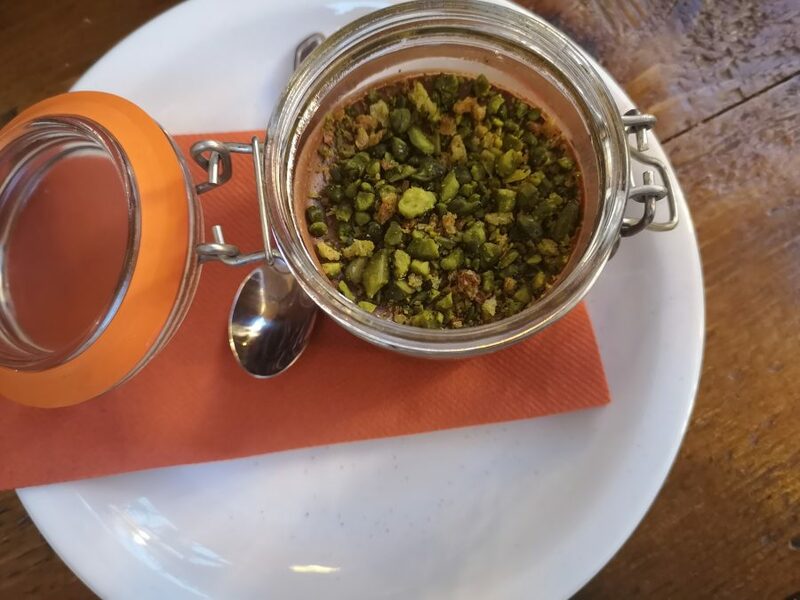 Chocolate mousse with pistachio crumble (£4) is light as anything – some real care has gone into making these desserts. 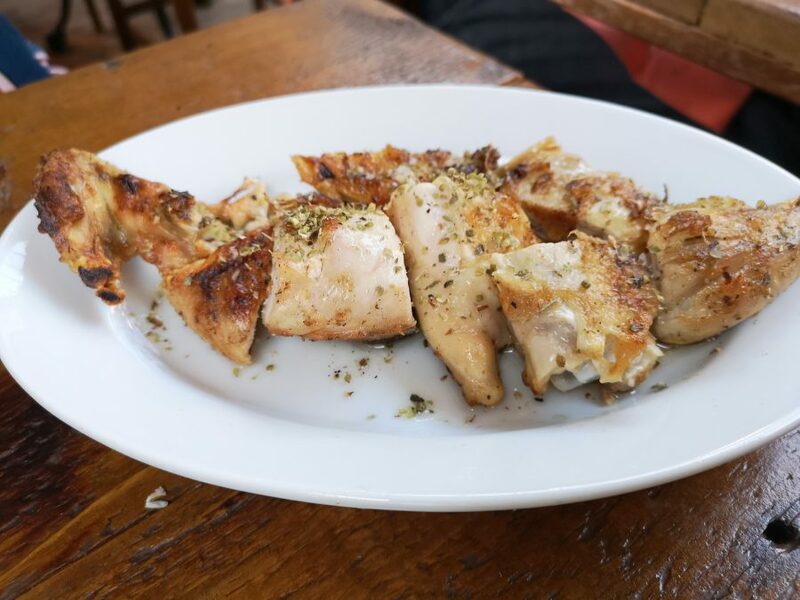 Casa do Frango is a little touch of holiday – it’s the sort of place you stumble across while abroad and then keep going back to as it’s so good. 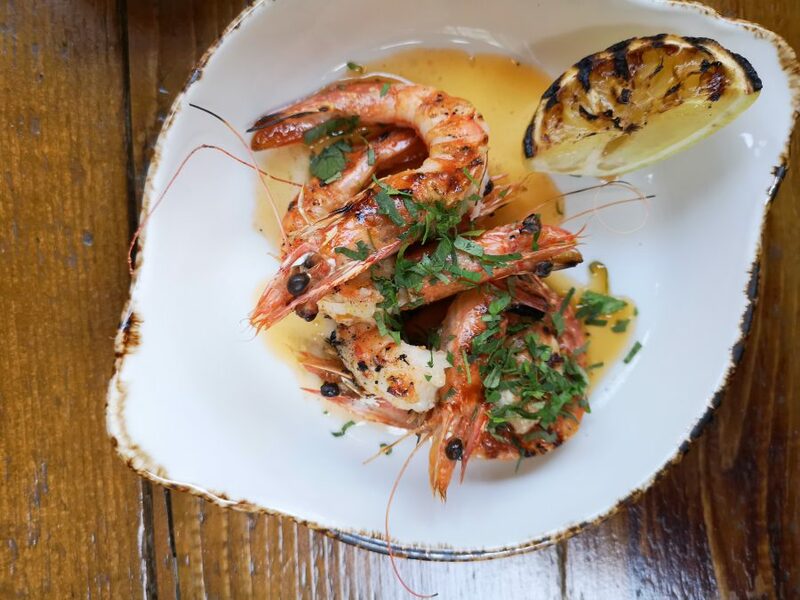 Simple fair, using top notch ingredients, keenly priced in a gorgeous space. Lovely stuff.